Kate Thacher, PsyD, is a licensed clinical psychologist. Her training and prior experience provided her with opportunities to work in a variety of clinical settings and with diverse patient populations. She specializes in Cognitive-Behavioral Therapy (CBT) and is devoted to providing evidence-based treatment. 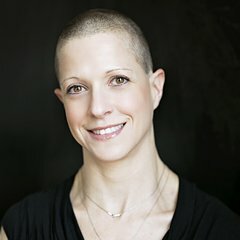 Additionally, recognizing that humans are beautifully complex and uniquely individual, she takes care to tailor treatment to meet each individual’s specific needs, and often incorporates techniques from other evidence-based treatments. Kate received intensive training and supervision, completing requirements to be deemed a certified provider of both Cognitive Processing Therapy (CPT) and Prolonged Exposure Therapy (PE) for posttraumatic stress disorder (PTSD). She also has extensive training and experience using CBT to treat a variety of mental health problems including depression, generalized anxiety, phobias, panic disorder, obsessive-compulsive disorder, alcohol and substance use disorders, and adjustment disorders. Kate’s strong sense of compassion and empathy are characteristics that remain at the core of her approach to treatment. Medical Reserve Corps, a multidisciplinary group of health professionals deployed in the event of a city, state, or national disaster or health emergency. Hope for the Day, a nonprofit organization that aims to provide outreach and mental health education in a proactive approach to suicide prevention. Finds the greatest sense of peace and calm when sitting on a beach staring out at the Pacific Ocean. Yes, specifically the Pacific Ocean. This may explain why she often ends up somewhere along the west coast of Mexico when she needs a quick reset.